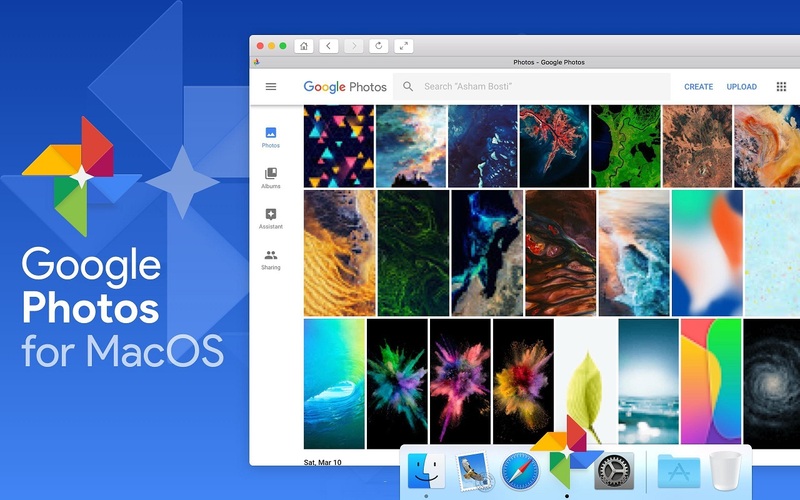 Google Photos for Mac	No ratings yet. 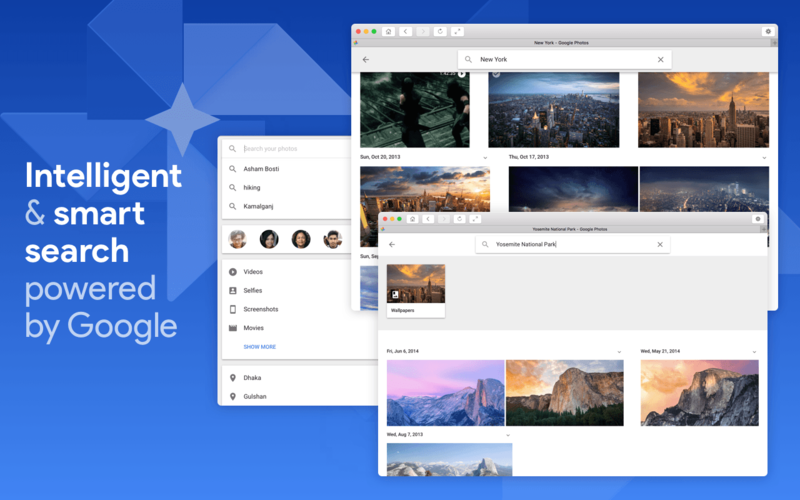 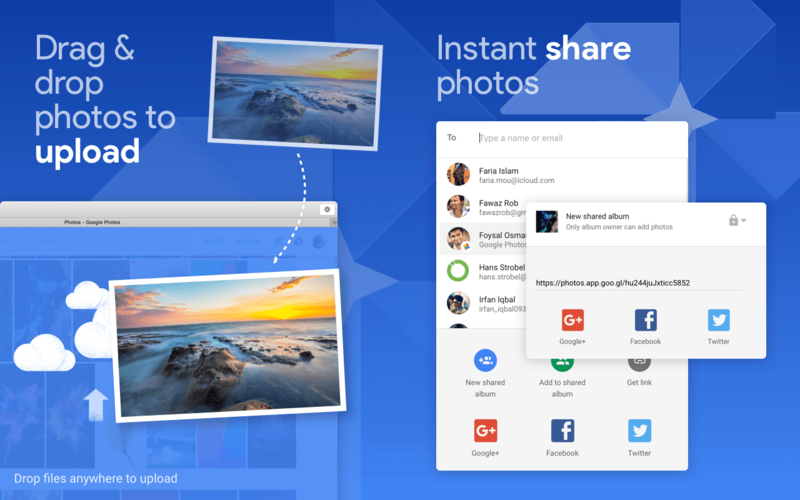 Google Photos for Mac is the home for all your photos and videos, searchable and organized by the people, places, and things that matter. 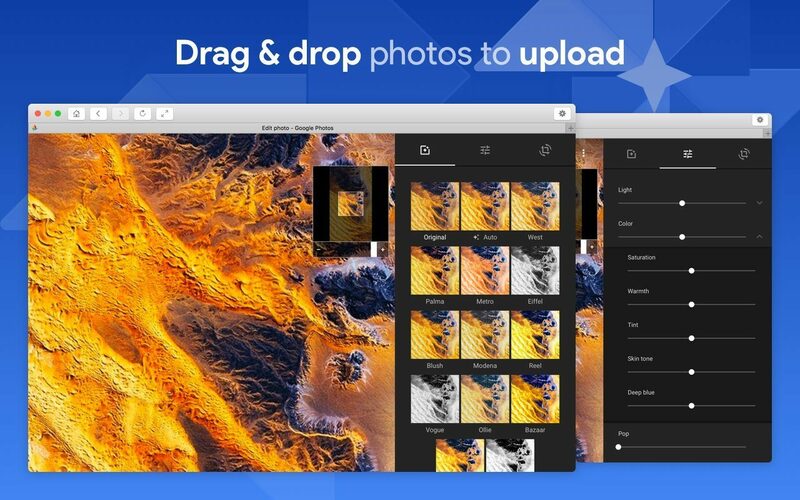 Your photos and videos will be automatically backed up and organized, so you can find and share them faster – and never run out of space on your Mac.